The archaeological site Kurilovec-Belinščica (Velika Gorica – south) is situated south of the village of Kurilovec (Velika Gorica). In 2006, the company Kaducej d.o.o. carried out salvage archaeological excavations covering a surface of 2540 m2. The excavations uncovered a small peripheral segment of a Bronze Age settlement, which extends over a far larger area than that covered by the excavations. The data obtained from the 2005 field survey and the 2006 archaeological excavation showed that, in order to collect information about the broader features of the site, other methods ought to be implemented, which would supplement the information obtained in the previous archaeological investigations. This is why various types of non-invasive research methods were used, enabling a high-quality analysis of the broader environment of the site. 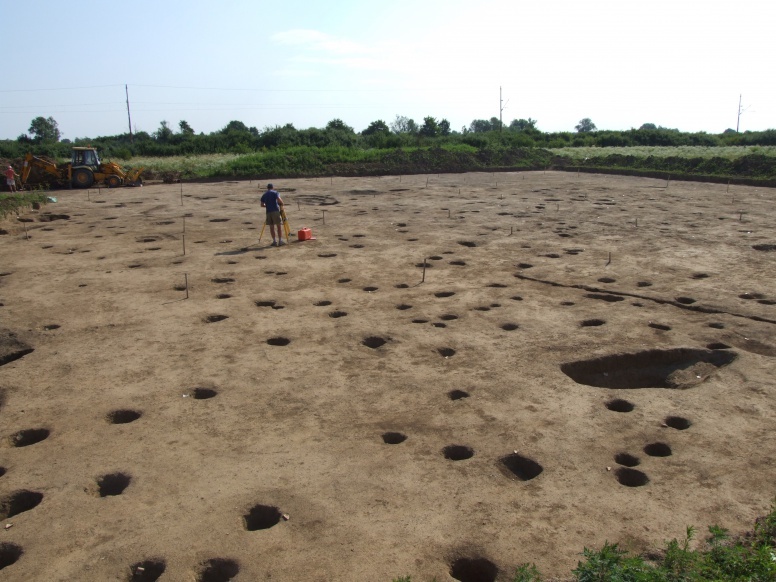 The research was carried out as a collaboration of the project of the Institute of Archaeology: “Genesis and Development of Bronze Age Communities in Northern Croatia” and the archaeological company Kaducej d.o.o. Between 2011 and 2013, spatial measurements were carried out at the site with the aim of creating a digital model of relief of the wider area of the site. Spatial measurements were conducted in three phases. More than 19000 points were taken in the process, which covered an area of approximately 31700 m2. 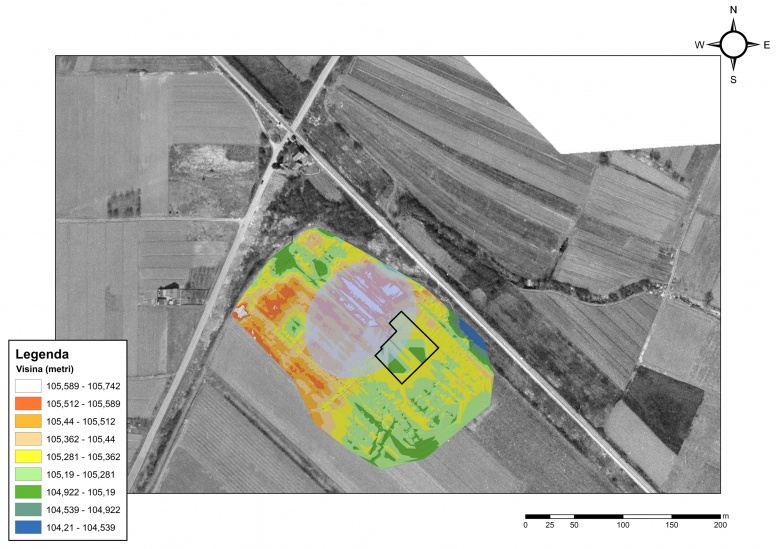 The analysis of the data collected by the spatial measurements resulted in a clearer insight into the configuration of the relief of the immediate environment of the Kurilovec-Belinščica site. By combining the obtained data with the data collected by archaeological excavations and analysis of aerial photographs, we gained a clearer understanding of the potential for utilization of this space during prehistory – by defining the borders of the Bronze Age settlement. 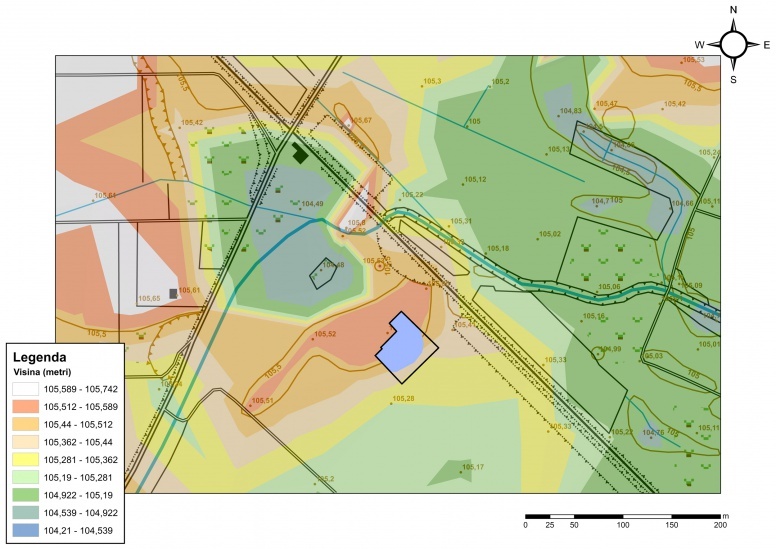 As part of the measurements conducted in the field and based on the study of the relief features of a broader area of the Kurilovec-Belinščica site, a proposal has been put forward for using a digital model of relief in the study of the archaeological potential of lowland areas. Non-invasive methods of archaeological research continue to be carried out and tested at the site.